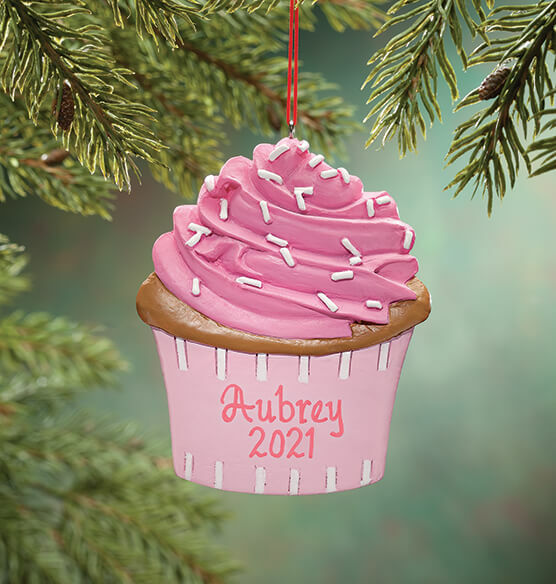 Boasting swirls of pink frosting and sprinkles so sweet, our personalized cupcake ornament is an extra fun treat! 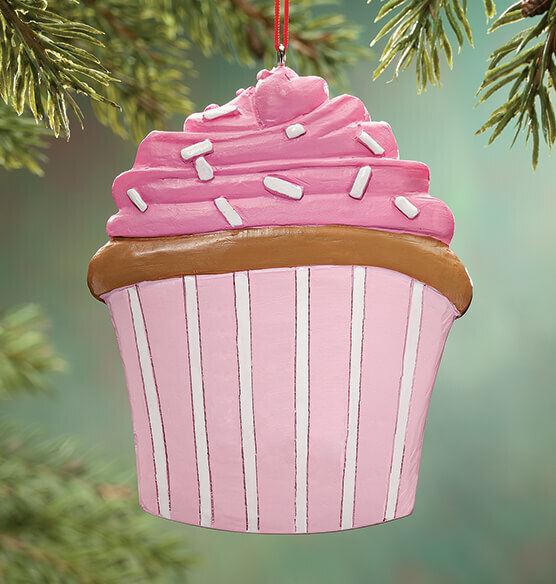 Perfect for any cupcake lover on your gift list, our 3-D Christmas ornament is deliciously detailed all around, so if it happens to spin on your Christmas tree, it’s beautiful from every angle. We’ll personalize this custom Christmas ornament, creating a sweet, one-of-a-kind treasure. Specify name and date/message; limit 2 lines, 10 letters/spaces each. Resin. 3" long x 1/2" wide x 3 1/2" high. Have ordered many personalized ornaments from Miles Kimball over the last 40 years, I am never disappointed. My. niece loved this ornament, it was adorable. I ordered several of these personalized with the year - turned out really great! Love them. Great Christmas gift for my granddaughter. Beautiful Christmas Tree decoration. Precious keepsake. Item exactly as described. My granddaughter loves to bake cupcakes! !